Ninox is a fantastic platform for building custom solutions - but sometimes you just don't have time! Ninox themselves offer a number of simple app templates - so I decided to try to build some more complete applications. At this point, we are delighted to introduce KasPer Pro (HR Management) and KasCur Pro (CRM) for the Ninox Platform! These apps are supplied as 'templates' and can initially be downloaded as partially restricted versions free of charge (so you can try them out). The limitations are the number of records (10 People in HR, 25 Contacts in CRM) and they are protected by a password so they can't be customised without upgrading. 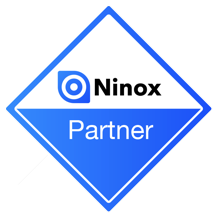 If you'd like to find out more about Ninox click here. If you'd like to download a free copy of KasPer Pro (the free version is protected so that it cannot be modified in Ninox and to a maximum of 10 People) then please click here. If you'd like to download a free copy of KasCur Pro (the free version is protected so that it cannot be modified in Ninox ) then please click here. If you'd prefer like to talk to us first about how we can help to transform your business the please get in touch with us here.